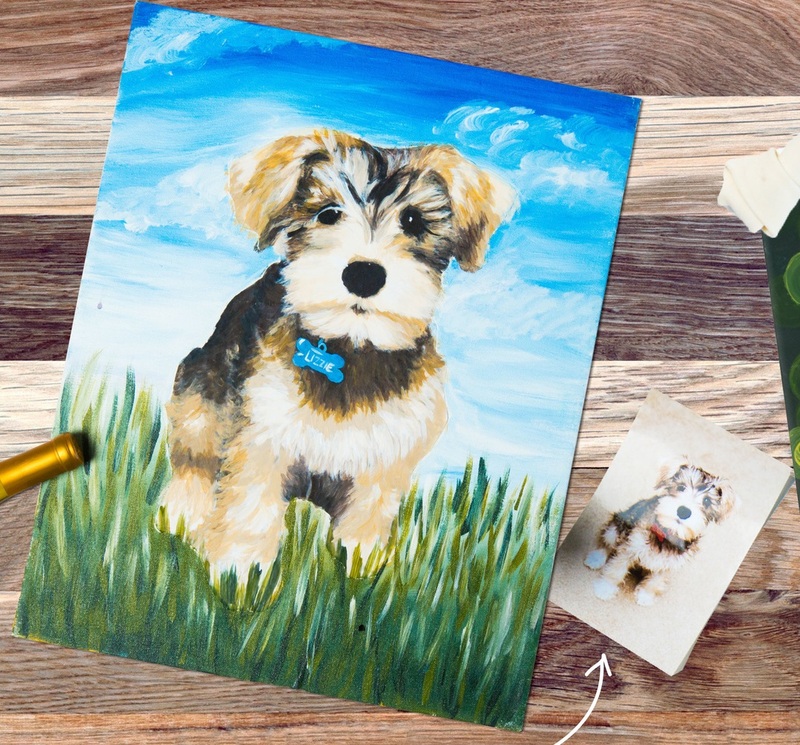 Come paint a custom portrait of your pet at "Project Pet!" Once you sign up for the painting, email us a digital photo of your pet (one pet only, please). We'll do some magic and print it right on the canvas, and on the night of the class, the instructor will walk you through painting over the photo to create your very own Pet Portrait! Send us your photo of your pet as soon as possible to somerville@pinotspalette.com.